Discovery of old lumber, grain, and whiskey mill foundations in NE Hudson that were previously thought to be gone. Pictures and descriptions of Evamere Estate. I will also try to include as many pictures as possible in my upcoming posts in an effort to make them more appealing – see below! 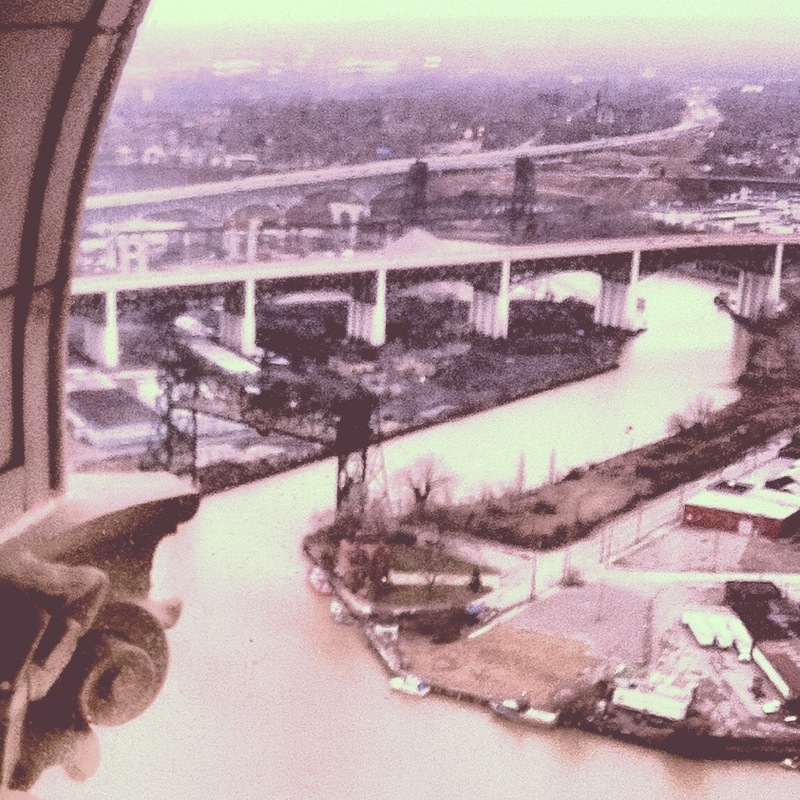 I took this picture from inside the Terminal Tower in downtown Cleveland. It looks W/SW across the winding Cuyahoga.